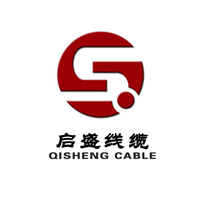 Product categories of Low Current Cables, we are specialized manufacturers from China, Low Current Cables, Charter Cable suppliers/factory, wholesale high-quality products of Spectrum Cable R & D and manufacturing, we have the perfect after-sales service and technical support. Look forward to your cooperation! Weak cables refer to cables used for security communications, electrical equipment, and related weak current transmission applications. Wire and cable refers to materials used for power, communications, and related transmission purposes. "Wire" and "cable" do not have strict boundaries. Usually, the product with a small number of cores, a small product diameter, and a simple structure is called a wire. A wire without insulation is called a bare wire. Others are called cables. A conductor with a larger cross-sectional area (greater than 6 mm2) is called a large wire. Small (less than or equal to 6 mm2) is called a small wire, and an insulated wire is also called a cloth wire. Wire and cable include bare wires, electromagnetic wires and insulated wires for electrical appliances, power cables, communication cables and optical cables. Basically named in the above order, sometimes to highlight important or additional features, features are written before or before the corresponding structure description. The product structure is described in terms of the principle from the inside to the outside: Conductor-->insulation-->inner sheath-->outer sheath. Some structures describe writing or abbreviations without causing confusion. Video signal transmission generally adopts direct modulation technology and takes the form of baseband frequency (about 8MHz bandwidth). The most common transmission medium is Coaxial Cable; coaxial cable is specially designed to transmit video signals, and its frequency loss, image distortion, The amplitude of image attenuation is relatively small, which can well complete the task of transmitting video signals. The communication cable is generally used in an imaging device equipped with an electric pan/tilt head and an electric lens, and a remote control decoder must be installed in the field when in use; a communication transmission cable between the on-site decoder and the video matrix switching host of the control center is generally adopted. 2-core shielded communication cable (RVVP) or category 3 twisted pair UTP, with a cross-sectional area per core of 0.3mm² ~0.5mm²; the basic principle for selecting a communication cable is that the longer the distance, the larger the wire diameter; RS-485 communication regulations The basic communication distance is 1200m, but in the actual project, the RVV2-1.5 sheath line can be used to extend the communication length to over 2000m. The control cable usually refers to the multi-core cable used to control the PTZ and the electric variable lens; one end of the control cable is connected to the PTZ of the controller or the decoder, and the electric lens controls the terminal, and the other end is directly connected to the PTZ. On the corresponding terminals of the electric lens, the control cable provides DC or AC voltage, and the distance is generally short (sometimes less than 1m). There is basically no interference problem, so no Shielded Cable is required. The audio signal of the monitor head in the monitoring system is transmitted to the central control room and is a point-to-point wiring method. It is transmitted with high voltage and low current, so an unshielded 2-core cable can be used, such as RVV2-0.5. Cables used in building intercom systems are mostly cables such as RVV, RVVP, SYV, etc. Has: transmission of voice, data, video images, while cable requirements also reflected in the quality of voice transmission, data transmission rate, video image transmission quality and speed, etc. Some systems must use RVVP cables in the system when they are afraid of external interference or cannot be grounded. Video terminals, two-way audio and remote control unlocking terminals of all indoor units are connected to the door machine in a bus way, but each call line is directly connected to the door machine alone.